Jessie Sloane is on the path to rebuilding her life after years of caring for her ailing mother. She rents a new apartment and applies for college. But when the college informs her that her social security number has raised a red flag, Jessie discovers a shocking detail that causes her to doubt everything she’s ever known. Meanwhile, 20 years earlier and 250 miles away, another woman’s split-second decision may hold the key to Jessie’s secret past. Has Jessie’s whole life been a lie, or have her delusions gotten the best of her? Great performance... but the story...? Heidi Wood has always been a charitable woman: She works for a nonprofit and takes in stray cats. Still, her husband and daughter are horrified when Heidi returns home one day with a young woman named Willow and her four-month-old baby in tow. Disheveled and apparently homeless, this girl could be a criminal - or worse. But despite her family's objections, Heidi invites Willow and the baby to take refuge in their home. Born to a prominent Chicago judge and his stifled socialite wife, Mia Dennett moves against the grain as a young inner-city art teacher. One night, Mia enters a bar to meet her on-again, off-again boyfriend. But when he doesn't show, she unwisely leaves with an enigmatic stranger. With his smooth moves and modest wit, Colin Thatcher seems at first like a safe one-night stand. But following Colin home will turn out to be the worst mistake of Mia's life. Anna Fox lives alone - a recluse in her New York City home, unable to venture outside. She spends her day drinking wine (maybe too much), watching old movies, recalling happier times...and spying on her neighbors. Then the Russells move into the house across the way: a father, mother, their teenaged son. The perfect family. But when Anna, gazing out her window one night, sees something she shouldn't, her world begins to crumble. And its shocking secrets are laid bare. Fifteen-year-old Ellie Mack was the perfect daughter. She was beloved by her parents, friends, and teachers. She and her boyfriend made a teenage golden couple. She was days away from an idyllic summer vacation, with her whole life ahead of her. And then she was gone. Now her mother, Laurel Mack, is trying to put her life back together. Sutton and Ethan Montclair's idyllic life is not as it appears. They seem made for each other, but the truth is ugly. Consumed by professional and personal betrayals and financial woes, the two both love and hate each other. As tensions mount, Sutton disappears, leaving behind a note saying not to look for her. Ethan finds himself the target of vicious gossip as friends, family, and the media speculate on what really happened to Sutton Montclair. When you listen to this audiobook, you will make many assumptions. You will assume you are listening to a story about a jealous ex-wife. You will assume she is obsessed with her replacement - a beautiful, younger woman who is about to marry the man they both love. You will assume you know the anatomy of this tangled love triangle. Assume nothing. Twisted and deliciously chilling, The Wife Between Us exposes the secret complexities of an enviable marriage - and the dangerous truths we ignore in the name of love. Seeking women ages 18-32 to participate in a study on ethics and morality. Generous compensation. Anonymity guaranteed. When Jessica Farris signs up for a psychology study conducted by the mysterious Dr. Shields, she thinks all she’ll have to do is answer a few questions, collect her money, and leave. But as the questions grow more and more intense and invasive and the sessions become outings where Jess is told what to wear and how to act, she begins to feel as though Dr. Shields may know what she’s thinking...and what she’s hiding. Finn and Layla are young, in love, and on vacation. They’re driving along the highway when Finn decides to stop at a service station to use the restroom. He hops out of the car, locks the doors behind him, and goes inside. When he returns Layla is gone - never to be seen again. That is the story Finn told to the police. But it is not the whole story. Amber wakes up in a hospital. She can't move. She can't speak. She can't open her eyes. She can hear everyone around her, but they have no idea. Amber doesn't remember what happened, but she has a suspicion her husband had something to do with it. 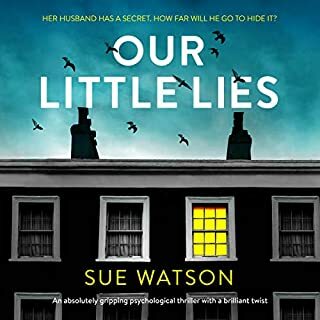 Alternating between her paralyzed present, the week before her accident, and a series of childhood diaries from 20 years ago, this brilliant psychological thriller asks: Is something really a lie if you believe it's the truth? New York Times best-selling author of The Good Girl Mary Kubica is back with another exhilarating thriller as a widow's pursuit of the truth leads her to the darkest corners of the psyche. Clara Solberg's world shatters when her husband and their four-year-old daughter are in a car crash, killing Nick while Maisie is remarkably unharmed. The crash is ruled an accident - until the coming days, when Maisie starts having night terrors that make Clara question what really happened on that fateful afternoon. Tormented by grief and her obsession that Nick's death was far more than just an accident, Clara is plunged into a desperate hunt for the truth. Who would have wanted Nick dead? And, more important, why? Clara will stop at nothing to find out - and the truth is only the beginning of this twisted tale of secrets and deceit. 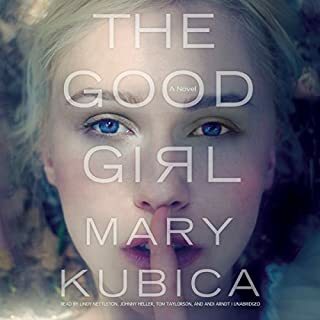 Told in the alternating perspectives of Clara's investigation and Nick's last months leading up to the crash, master of suspense Mary Kubica weaves her most chilling thriller to date - one that explores the dark recesses of a mind plagued by grief and shows that some secrets might be better left buried. ©2017 Mary Kyrychenko (P)2017 Harlequin Enterprises, Limited. I really wanted to love this one. However, the main character (Clara) was frustratingly stupid, and the writing was really poor. I'm shocked at how much I disliked this after really liking Kubica's other work. 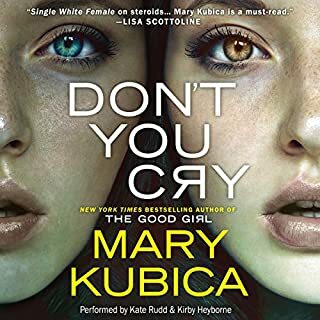 I have listened to 4 of Mary Kubica's books & have determined I am not a fan. This one made me think she gets paid by the word. The characters repeated themselves constantly, really driving home the points they made as if I were too ignorant to understand. It was annoying. I tried not to hold it against the narrators though bc I don't know if anyone could have performed better at saying the same things over & over again. I thoroughly enjoyed the first 10 hours of this book. Read it very quickly and would rate it as a 4.5 if such a rating existed. What a disappointment in the last two hours! I am giving it a generous 4 when it really deserves a 3.5. I was ready to search out more books from this author until I reached the final two hours of Every Last Lie and now I'm no longer interested in doing that. Would you try another book from Mary Kubica and/or Carly Robins and Graham Hamilton ? 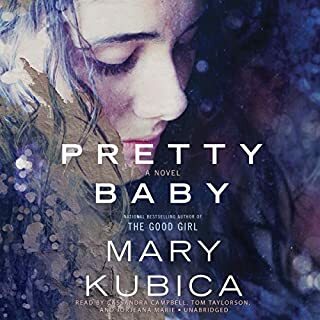 I've enjoyed other Mary Kubica books but this one just seemed to be about a woman under a lot of stress after her young husband dies expectantly. It was a lot of her imagining things to be more sinister than they really are. Even the most pessimistic person wouldn't have gone as far as she did. For me this was a book about a nut case without any mystery or psychological suspense. About a third through I started skipping Clara's chapters and listened only to Nick's. Clara was so tedious and extremely unlikable. Toward the end, I thought the author was writing her as a sociopath deliberately and she'd end up in jail, which would have been brilliant. But I was disappointed. It was tedious and frustrating, and I usually enjoy this author. I recommend skipping this one. Sorry, I just didn't get it. After a promising start I became more and more put off by the central female character - it may have something to do with the way she was read, which sounded like someone who was awfully impulsive and immature. I couldn't make sense of her thought processes, and felt exasperated as she jumped from one nonsensical conclusion to another based on little to no evidence. The husband, who narrates in flashback, is imperfect as well but a bit more likable - again, he probably benefitted from the delivery of a better reader. This was apparently intended as a character study of a woman coming to terms with a horrendous loss, but even there it missed the mark for me. I would not call this a mystery or a novel of suspense. 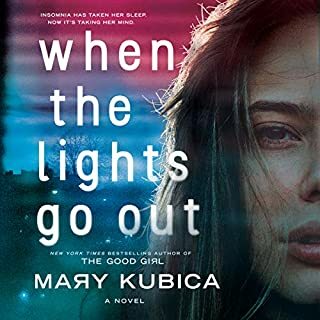 I've enjoyed two other books by Mary Kubica, was looking forward to the release of this one, but although there were a few nice moments between the father and daughter, I'm sorry to say that overall I found it repetitive and kind of tedious. I loved kubica's other books, so I had high hopes, even pre-ordered it with my credit, however disappointment fell upon my ears through out the entire story. maybe my fault for having such high expectations. The plot was totally unrealistic. There were no likeable characters. I couldn't stand the wife or husband. Even the kid was a pain. Rather than being a legitimate mystery, it was an out of control soap opera. Ridiculous! Kubica is at the TOP of her game!!! 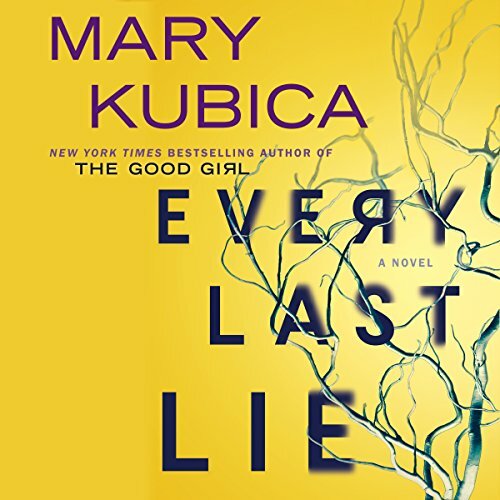 The highly anticipated Every Last Lie by Mary Kubica was one I couldn't wait to get my hands on...or maybe I should says ears, in this case. :-) I pre-ordered this book the second I was able to and waited (for what seemed like forever) for its release. Let me tell you, it is well worth the wait! I have loved all of Mary's books, and this is one more I can add to the list. Basically, it is about a woman (Clara), whose husband (Nick) dies in a car accident, while her young daughter (Maisie) miraculously walks away unharmed. Worn out from caring for Maisie and newborn son (Felix), Clara's grief as a new widow is almost too much to bear. In the coming days, we watch as Clara's suspicion about the accident grows into a full-on obsession with finding out the truth behind Nick's death. As each lie surfaces, fear that things are much more than they seem increases, and the reader is left wondering who killed Nick, and why. Like Kubica's other books, this one is also told in alternating points of view...Nick in the weeks before his death and Clara throughout her search for the truth. It is filled with twists and turns as "every last lie" is revealed. It's full of suspense and keeps you at the edge of your seat up through the very end. It will have you questioning your own thoughts about the killer, and in the end, you will remember that everything happens for a reason and things always "work out" like they are supposed to....or so they say. The narration by Carly Robins and Graham Hamilton was great. I love that we get to experience the work of two narrators, rather than one, because it eliminates distraction and makes everything seem more real to the reader/listener. I loved the voice Carly used for little Maisie...numerous times, she flawlessly switched back and forth in conversation between mother and daughter, leaving me with the feeling I was there with them. With Graham, I can still hear Nick talking. His voice was controlled and consistent throughout, and as new characters were introduced, Graham's tone changed depending on with whom Nick was sharing the scene. His narration helped me see and understand Nick from various angles. I would be interested in listening to more of Carly Robins and Graham Hamilton's work in the future. With that being said, I'm sure it is no surprise that I give the audiobook Every Last Lie by Mary Kubica 5-stars all around. 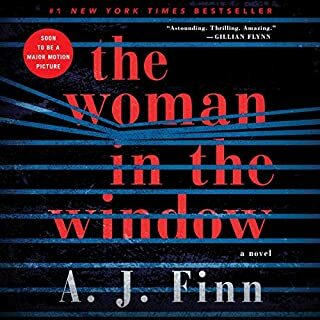 I highly recommend this book to those who enjoy the suspense/thriller genre. It gives perfect insight to what people go through (mentally, emotionally, and physically) when losing a loved one, and like most things in life, it shows that with time, life does go on...and so do we. I really enjoy Kubica's writing style and have looked forward to each of her books. I didn't know what to expect from this one, which helped keep me on my toes. Every Last Lie had a bit of a weaker story line for me, and Claire grows to be more insufferable (cringeworthy) as the book develops. At the same time, Nick becomes more likeable and his demise more tragic. I feel as if this development was intentional, so I'll forgive it for my annoyance of Claire. Big plus: Carly Robins was a terrific narrator and did the most convincing child's voice! How did this get published? This would have to be one of the worst books I have ever listened to. It just went on and on and on. About her mothers dementia and her father's skinny shoulders and how the air conditioner didn't work. I don't care. I thought there must be a killer ending to reward me for listening to all this boring ramblings. No just more blah. this story was rather unsatisfying... started well...but really was a road to nowhere! needed more substance. This was an extremely boring book. Don't bother. Spoiler: after listening for hours nothing happens. The narrator's were good though. Worthy of 6 stars for narration! Beautifully narrated by Carly and Graham their voices and interpretation of the text kept me enthralled by the characters and story in every chapter. The book is a murder mystery narrated by the dead guys wife who is utterly neurotic. Then you are slapped in the face after 11 hours with the most disappointing ending. Do yourself a favour and don’t bother!